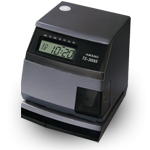 Welcome to Central Time Clock, Inc., your full service time tracking solutions provider. Expert sales, support, and mechanical staff with generations of experience serving the New York Metropolitan area. Our goal is to assist you and your business in deciding which solution would best suit your company's needs. Service, support, and upgrade needs will be dealt with promptly and professionally as well, to ensure your complete satisfaction now and for years to come. The Handpunch system comes with time & attendance software, clock installation, hardware and software maintenance coverage including loan units, and project implementation services. Maintaining quality of service and remaining knowledgable in the industry is something to be expected when dealing with Central Time Clock. You will always have your call answered by a human being, and not a recorded voice. We help control your labor costs by providing high quality products backed with superior customer support. 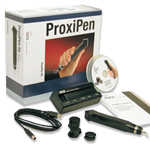 The ProxiPen is compact, lightweight and easy to handle because it recognizes RFID tags and other transponders automatically without any operating elements on the reader. GCS TopGuard Patrol communication and evaluation software is easy to use and requires only basic computer knowledge. Time & Attendance SystemsWe have a division devoted to it. OATS Compliant Time Stamps Financial traders depend on us. Guard Tour Equipment Keeping security guards in check. 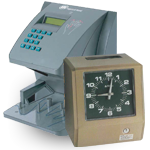 Electronic Time Clocks, Mechanical Time Clocks, and Time & Attendance Systems including the Biometric HandPunch. Professional services include clock installations, on-site service, and loan units with each of our service contracts. OATS Compliance, Electronic Time Stamps, Mechanical Date & Time Stamps. We are OATS compliance specialists helping hundreds of financial firms properly record & manage validated time. Security guard patrol equipment to help manage your security personnel whose job performance needs oversight. Keep your facilities safe with our Guard Tour Verification Systems like the Detex ProxiPen.